The 5th annual Mississippi Picnic in the Park became an entire fun filled weekend! We started out this year with the 1st Annual Mississippi Alumni & Celebrity Golf Tournament which was held at the Wolf Creek Golf Course on June 14, 2013. The event featured 72 golfers and raised oer $8,500 toward scholarships for Mississippi schools. Check distributions were sent to Ole Miss, MIssissippi State, Delta State, Jackson State, & Millsaps. Friday night we had our Mississippi Night at the Atlanta Braves with a pre-game social in the Hank Aaron room. 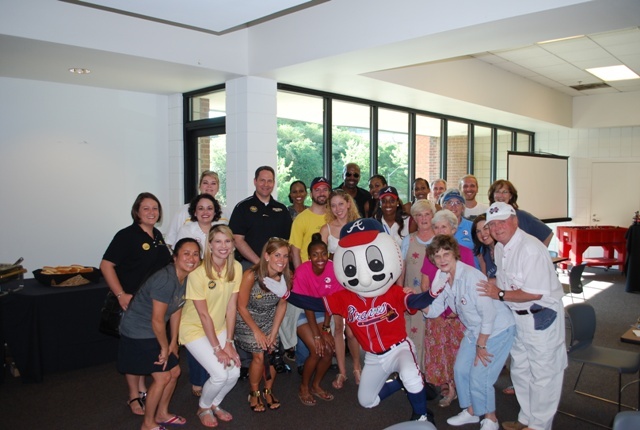 Saturday was the big picnic at Chastain Park. We welcomed back The Shufflejunkies and Bobbye "Doll" Johnson for our entertainment. New this year, our very own committee member and storyteller, B.J. Abraham entertained the children (and adults) with her storytelling! Authors Shane Etter, Patricia Neely-Dorsey, Whit Perry, and Mal Wilkinson were on hand signing books and chatting with fans and new friends. The lovely Mississippi blues quilt hand made and donated by Jimmie Turnage was our big prize and it generated over $1,500 towards our scholarship. Speaking of the scholarship, congratualtions to Jasmine Revels of Collins Hill High School in Suwanee on winning the 2013 scholarship for $1,000. Jasmine is heading off to Mississippi State in the fall. 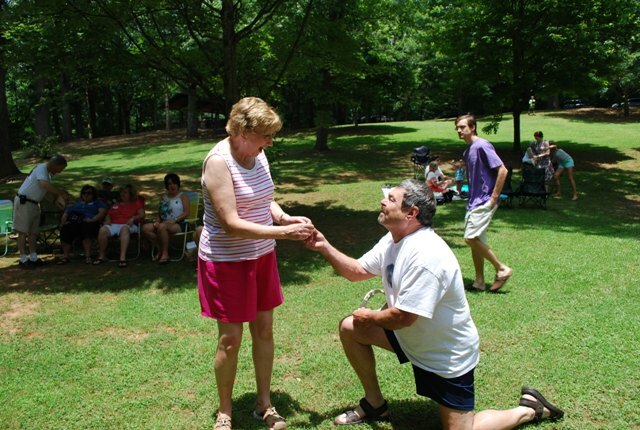 Also, congratulations to June Blackwell and Banks McDowell who got engaged at the picnic! Thank you for making us a part of your special day! If you would like to see photos from the 2013 events, check them out in the Photos section.